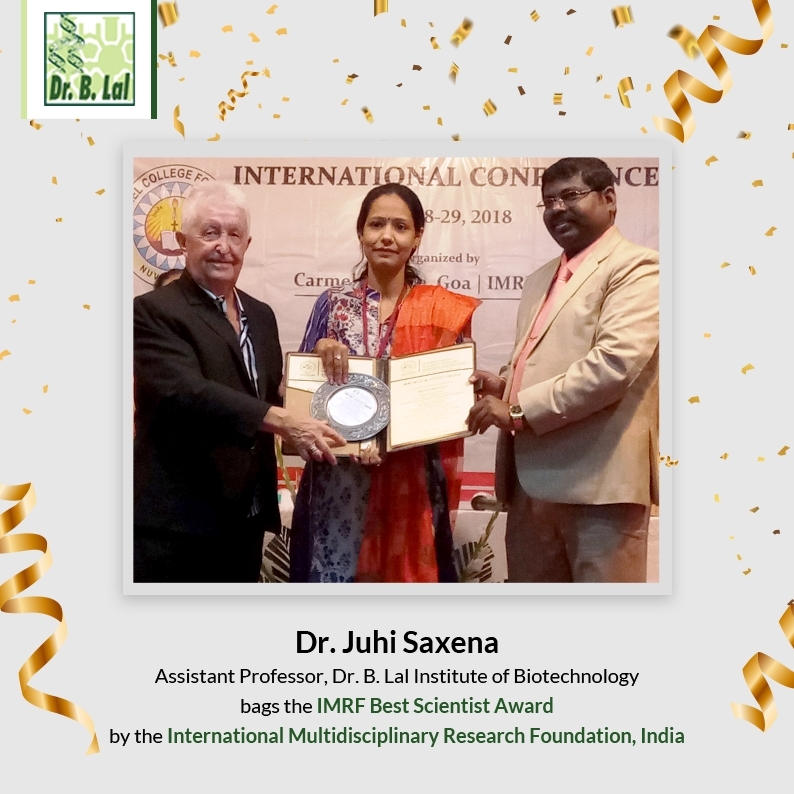 Dr. B. Lal Institute of Biotechnology feels proud to share that Dr. Juhi Saxena, Assistant Professor has been felicitated with the prestigious IMRF Best Scientist Award by the International Multidisciplinary Research Foundation, India. This award has been bestowed to Dr. Juhi Saxena in recognition of the consistent superior performance in Biotechnology and upon the recommendations of the committee on IMRF Academic awards. The awards was given on the eve of the 97th International Gathering of International Conference on Recent Trends in Advanced Biology, Health and Environmental Sciences, on Dec 28 29, 2018 at Carmel College for Women, Nuvem, Madgoan, Goa, India.